Check out this newly-updated 3 bedroom home located in a quiet suburb on the edge of Winfield. 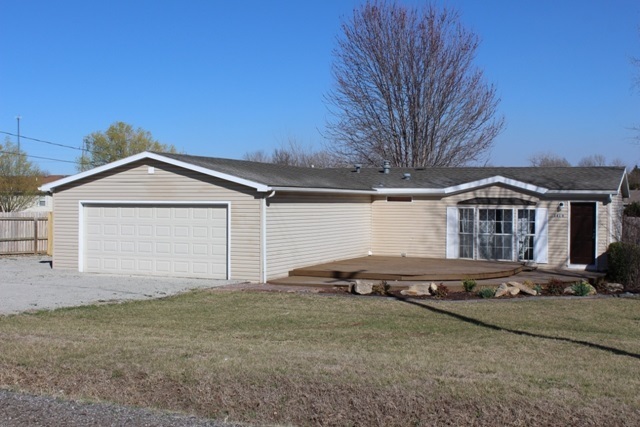 This home features all new flooring and appliances, fresh, neutral paint, and a 0.88 acre lot! The front porch is huge and offers plenty of seating space to enjoy sunny weather. Inside you'll find bright picture windows, vaulted ceilings, crown molding, and wainscoting from the living room to the dining area. The beautifully updated kitchen offers contemporary white custom cabinets, sleek subway tile backsplash, plenty of counter space, and stainless appliances that are all included! The three bedrooms are bright and clean, and two full bathrooms complete the layout. Enjoy the incredible outdoor oasis on your lot that's nearly an acre. There's so much space inside and out! Schedule your private showing and see this wonderful home today!